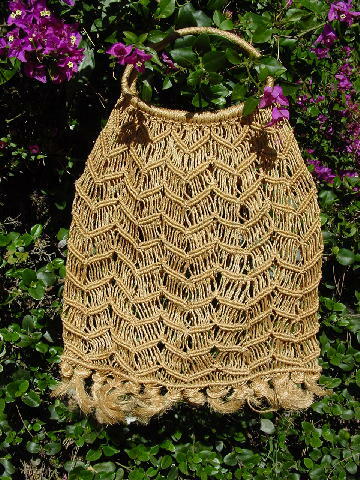 This twine bag has a large open weave with fringes at the bottom. It has 2 large 11" covered oval handles. 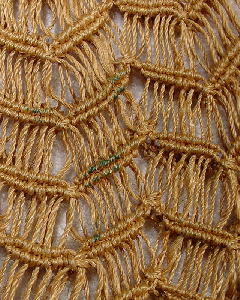 There are touches of green paint on a few of the strands. 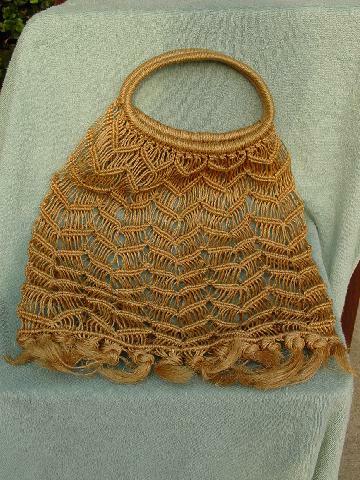 A model used it for carrying her beach stuff in Miami, but she moved to Canada.